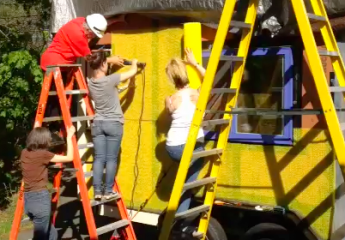 Class # 205 The Tiny House Journey, SUN. 3/29/2015, 12-4PM $75. Meet a local tiny house builder, learn more about the tiny house movement and network with tiny house enthusiasts at a 4-Hour intimate workshop (Limited to 10 attendees). Tour the Silver Bullet Tiny House on wheels and earn the top ten important considerations before you begin planning your build. Learn how to transition into a sustainable lifestyle and decrease your carbon footprint. Trailer modifications, framing, sheathing, insulation, energy and water systems and design process will be covered. 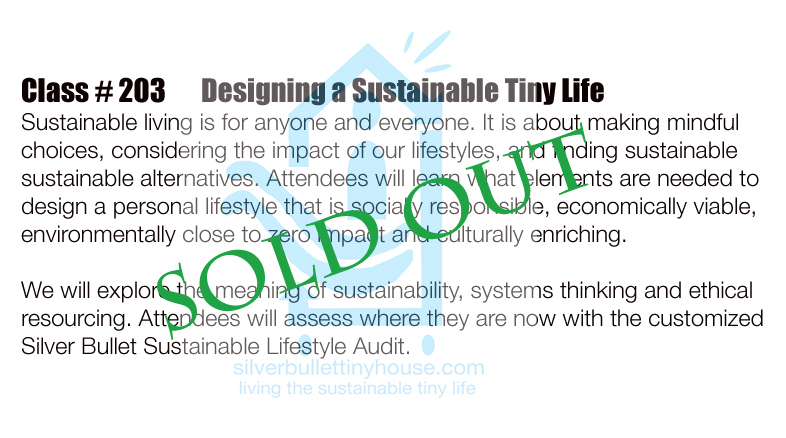 Includes light refreshments, tiny house workbook, building material samples, and 30 minute Q & A session. Register by clicking on PayPal button below and we will email you instructions and directions. Any questions, just reply in comments.